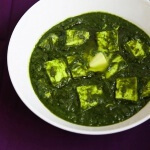 Palak Paneer is one of the most popular paneer recipes in India. 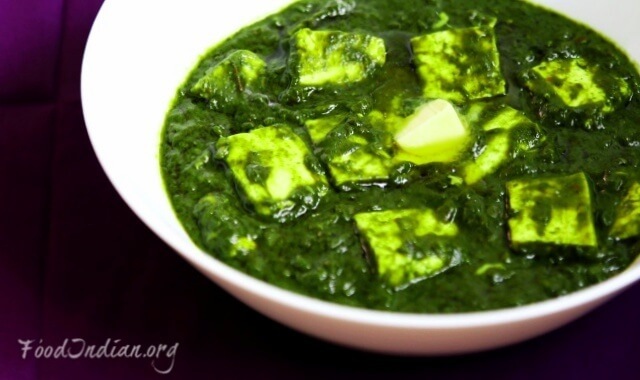 It’s becically a North Indian recipe, in which soft paneer cubes or cottage cheese are cooked in thick spinach or palak gravy. 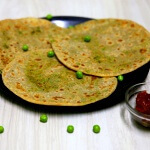 This traditional dish has a delicious and mouth-watering taste, and goes very well with roti or paratha. 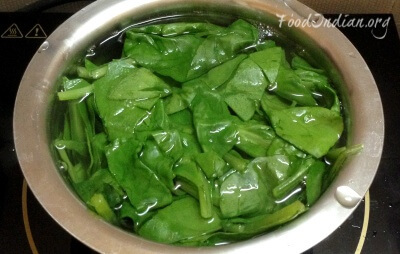 Remove spinach leaves from stem and rinse them very well in fresh running water. 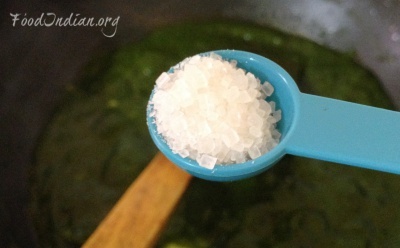 Take 4 cups of water into a saucepan and add some salt to it. Boil the water. When it starts to boil add the spinach leaves and boil for 4-5 minutes. Then drain the water and keep them aside. 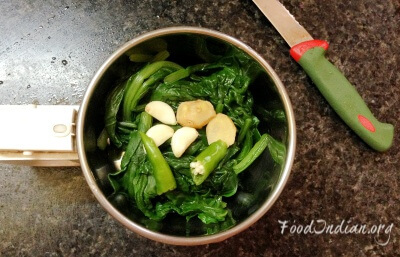 Put the boiled spinach leaves into a blender. 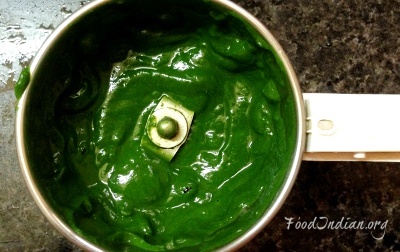 Add 3-4 garlic cloves, ginger piece and whole green chill into the blender and blend to make a smooth puree. Now heat a pan and add 2 tbsp of oil. 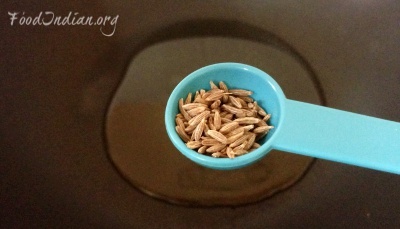 Put cumin seeds into the oil and let them to splutter. 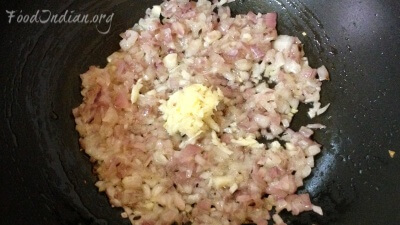 Then add finely chopped onion and fry for few minutes on medium heat. 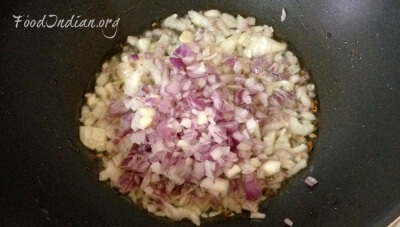 Add crushed garlic cloves and saute till the raw aroma of garlic goes away. 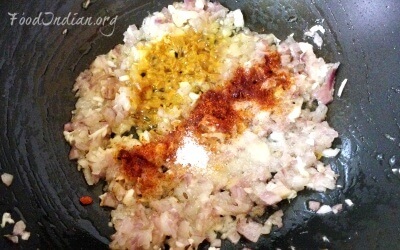 Meanwhile, add red chilli powder, salt and turmeric powder into the mixture and fry them for 4-5 minutes. 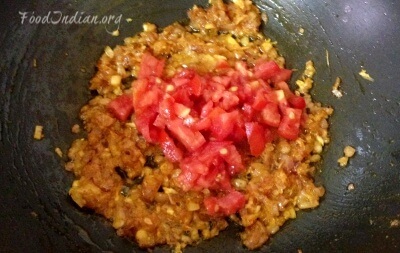 Now add chopped tomatoes, stir and saute them till they soften. Once the tomatoes are softened and you see oil releasing from the sides of the mixture. 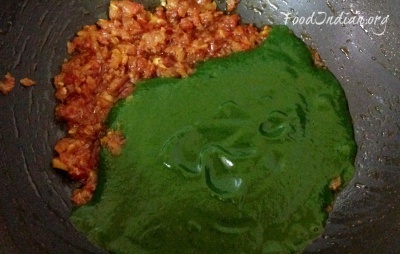 Then add the palak puree into the pan and stir well. Cook on medium to high flame for 2 minutes. 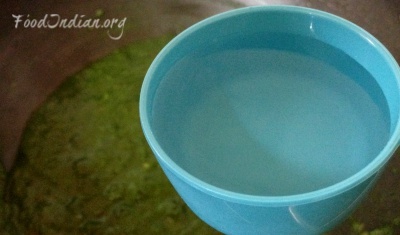 Add water into the mixture and cook for a while. 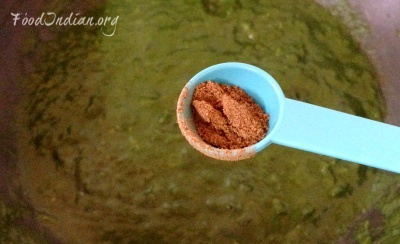 Then add garam masala powder and stir the gravy . 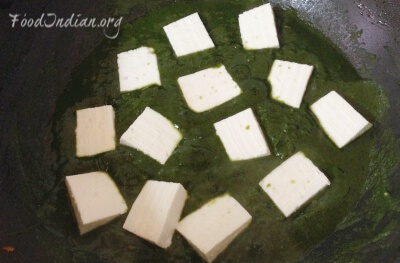 Add the paneer cubes into the gravy and stir gently. Add some sugar and fold the gravy very carefully. 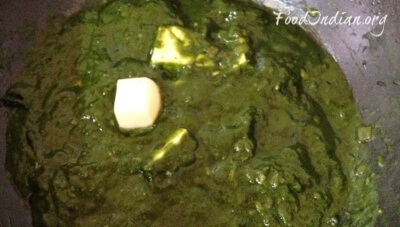 Lastly add butter and stir gently again so that the butter gets incorporated in the palak paneer gravy evenly. Switch off the flame. Here I have added the paneer cubes directly to the gravy. 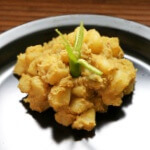 but you can also lightly fry or saute the paneer cubes till they lightly browned and then add them to the palak gravy.